In one of our recent posts, we talked about how getting your home ready to sell now is critical to ensuring you take advantage of the spring market. But getting your home ready is not just about clearing out the clutter; preparing your home for sale may also mean you need to do a few renovations. According to a recent article in the Globe and Mail by Deirdre Kelly, contrary to what the magazines and home decor TV shows would have you believe, expensive home renovations don’t necessarily yield high returns and are especially dangerous if it means you take on substantial debt to do so. In love with that shiny new marble countertop in your renovated kitchen? Be careful it doesn’t blind you into thinking it’s going to make you money. Contrary to what the shelter magazines and home decor TV shows would have you believe, expensive home renovations don’t necessarily yield high returns, according to some real estate experts. Those dazzling before-and-after images? They provide great entertainment. For something with more substantial value, forgo the bells and whistles and stick to the basics, such as furnaces, windows and basement rental units, industry experts say. Taking on debt to finance a home renovation is not a smart move anyway, says Paul Rhodes, a partner in the audit and advisory practice at Crowe Soberman LLP, with clients in Canada’s construction and real-estate industries. 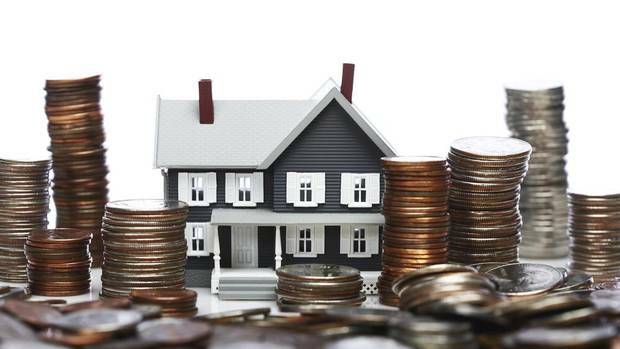 Mr. Komjathy advises homeowners to consider various financing options before using their own funds. One place to look is the homeowner’s existing mortgage. Two things can happen to a mortgage when the owner sells, Mr. Komjathy says: First, it is “ported” to a new property, which does not incur any extra costs, or secondly, it needs to be broken, which incurs penalties. If the mortgage is one that needs to be broken, it becomes more risky, but can still be used to finance a reno, he adds. The key is whether the original and new mortgages are variable-rate ones. Variable-rate mortgages have just a three-month penalty, and, considering their low-interest cost, this outweighs the penalty amount. If the mortgage is a fixed-rate one, the increased mortgage amount will attract a larger penalty that is often impossible to quantify in advance. But how do you know if renovating a home makes good financial sense? The answer often depends on the situation at hand. A family may have outgrown its current space and is considering renovation instead of buying a more expensive home, for example. But if the renovation is intended to add value to the home when selling, “beware the effect of increasing interest rates,” Mr. Rhodes warns. The types of renovations that make for a good investment when selling include adding living space in underused areas, such as basements and garages. But it is still updated kitchens and bathrooms that remain the key renovations that help a home sell. On a smaller scale, hardwood flooring, stainless steel appliances and ceramic sinks with multifunction faucets remain popular. And if a renovation is not possible, even a quick refresh, including a coat of paint and decluttering, can add value to a sale. Whether you’re looking to sell now or in the future, strategic renovation planning is crucial before you start. As designated Accredited Staging Professionals and the trademarked owners of the powerful STAGED & SOLD brand, we know from experience and first-hand knowledge what renovations will create the greatest demand in your particular neighbourhood and that will yield the biggest return on investment when the time comes to sell. The most critical move you can make to ensure a quick and easy sale is to request a free home evaluation from the Rocca Sisters & Associates. You will have two nationally ranked top-producing agents working for you to sell your home quickly and efficiently. We will advise you on what renovations you should – and shouldn’t – do to ensure you get top dollar for your most valuable asset. To request an evaluation or for more tips on how to prepare your home for sale, don’t hesitate to call the Rocca Sisters & Associates office at 905-335-4102 or email us at info@roccasisters.ca. Our personal approach and proven results will surpass your expectations. With this week being National Non-Smoking Week and last Wednesday being Weedless Wednesday, we thought we’d share with you the impact smoking in the home can have on its resale value. 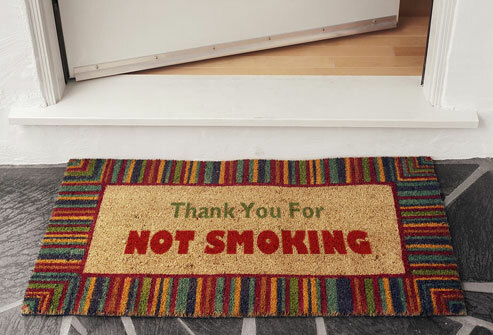 While we hope this week has inspired you to quit smoking for good, we know from firsthand experience that a home that has a strong cigarette odour can be very difficult to sell. The impact of smoking in the home is not just cosmetic – it can significantly affect property values. Almost half (44 per cent) of real estate agents and brokers surveyed said smoking in the home affects resale value. Of these, one-in-three said smoking in the home may lower the value by 10-19 per cent and a further one-in-three (32 per cent) said it may lower the value by as much as 20-29 per cent. An overwhelming majority of Ontario real estate agents and brokers agreed that it is more difficult to sell a home where owners have smoked. You are probably immune to your home’s smell. As Accredited Staging Professionals (ASP) and owners of the powerful trademarked STAGED & SOLD brand, we can provide you with inexpensive tips to help rid your home of odours so that your home can be sold faster and often at a higher price. If you’re a smoker and you normally smoke indoors, start limiting your smoking to outside the home and take extra steps to deodorize indoors. For more information on your home’s worth and the best strategies to maximize its value, contact us today for a free, no obligation home evaluation. Financial News: How will Bank of Canada cuts to the interest rate affect the Canadian Housing Market? The bond market is suggesting an overheated Canadian housing market is about to get even hotter just in time for the spring thaw. The Bank of Canada unexpectedly cut its main interest rate, saying the oil-price shock will drag down inflation and weigh on everything from exports to business and consumer spending. The bank cut its rate on overnight loans between commercial banks by a quarter percentage point to 0.75%, a decision none of the 22 economists in a Bloomberg News survey predicted. The rate, which influences everything from car loans to mortgages, had been at 1% since September 2010. The last cut was in April 2009. Five-year bond yields, which serve a benchmark for mortgage loans, are at a record low. Anticipation of increased lending has helped push the cost to hedge mortgage loans by banks to the highest level since August 2013, when frenzied activity in the housing market prompted authorities to clamp down. With oil prices depressed to 5 1/2 year lows and both the International Monetary Fund and the World Bank cutting growth forecasts this month, traders have pushed out expectations for when central banks in the U.S. and Canada will raise benchmark interest rates. That’s caused the wholesale rates available to banks in the bond market to fall before the country’s traditional spring home-buying season. The average five-year mortgage rate in Canada is a record-low 4.79%, according to central-bank data. Lower rates can be obtained from banks and other private lenders. Economists say Canadian borrowers can expect mortgage rates to dip slightly in response to the Bank of Canada’s surprise move to cut its trend-setting interest rate. CIBC chief economist Avery Shenfeld says that will likely mean a corresponding 0.25 drop in variable, or floating, mortgage rates. 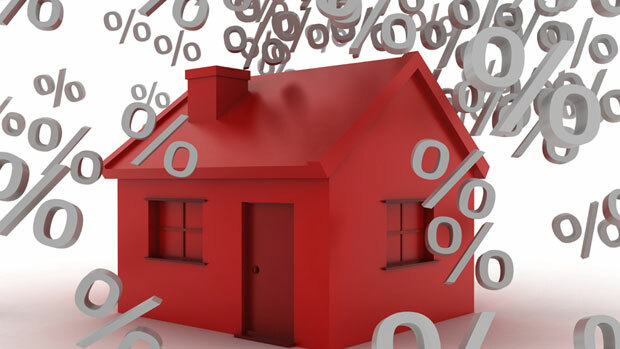 Fixed-rate mortgages are also likely to see a slight decline, as they follow bond yields, which will move lower in response to the central bank’s rate cut. The rate cut could boost sales and prices of homes in Central and Atlantic Canada, including in Toronto’s red-hot property market. TD economist Craig Alexander says lower interest rates could spur consumers in non-oil dependent provinces such as Ontario to take on more debt, which in turn will boost the region’s real estate market. However, Alexander says it’s unlikely that consumers in oil-rich Alberta, who are reeling from the impacts of the sharp decline in energy prices, will increase their debt loads or see sales or prices of homes heat up. A month ago, traders were pricing in an 83% chance the Federal Reserve would raise the key U.S. rate by the end of 2015, according to Bloomberg calculations based on overnight index swaps. Tuesday, the chances were 66%. In Canada, traders now see a greater likelihood of a decrease than a raise. The gloomy outlook has increased demand for bonds, pushing the yield on five-year debt from the Canadian government to a record-low 0.786%. At the same time, the cost for the securities banks use to hedge mortgage liabilities, the five-year swap spread, has risen. The premium banks must pay over five-year government securities for a five-year interest rate swap — the rate to exchange floating- for fixed-interest payments — climbed as high as 46 basis points this month. With consumer debt including mortgages at a record level and real estate valuations still rising, Canada’s situation today echoes the summer of 2013, when the nation’s housing agency rationed guarantees on mortgage-backed securities to help keep the market from becoming a bubble. That March, then-Finance Minister Jim Flaherty, who had already tightened mortgage rules, rebuked Bank of Montreal for reducing its five-year mortgage rate below 3%. At the time, the benchmark five-year rate was 1.3%. Housing prices have continued to gain across the country, particularly in the largest cities. In Vancouver, the average home price jumped 27% since December 2008, according to the Canadian Real Estate Association. Toronto home prices rallied 49% in the same period to $521,300 in December 2014. This year, there’s no guarantee the banks will respond to the lower rates in the bond market by lowering mortgage rates, and even if they do, there’s no guarantee cheaper mortgages will further inflate housing values, according to CIBC’s Tal. His own research shows an estimated 30% to 40% of Canadian households are taking advantage of low interest rates to pay back their mortgages to shorten their amortization, reducing the risk of an interest-rate shock. Last month, the Bank of Canada said housing prices are overvalued by as much as 30%, posing an “elevated” risk to the domestic financial system. Comments Off on Financial News: How will Bank of Canada cuts to the interest rate affect the Canadian Housing Market?